One of the best aspects of traveling is taking your time to try as many unique restaurants in the area. It provides a more complete and fun insight into local food and culture. Doing so always allows you to have an even better experience. The Monteverde/Santa Elena region of Costa Rica is extremely popular among travelers because it's home to many nature reserves. The most popular are Monteverde Cloud Forest Biological Reserve, mainly because National Geographic named it the crown jewel of cloud forest reserves. Because of the area's popularity, you will find many restaurants in Monteverde. Next is a list of some of the best places in the region serving local dishes at reasonable prices. This small restaurant in Monteverde has a covered, open-air space that offers cafeteria-style food—nothing fancy but still delicious. The most popular dishes are salty and sweet crepes, cakes, smoothies and coffee. The restaurant offers vegetarian, vegan and gluten-free options as well as breakfast and brunch. The price is a little above average for the region, but it is still reasonable. The ambiance is warm and friendly; most of the time the owner is around taking orders and making sure everything is OK. This is a great place to spend time enjoying the surroundings, a good book and some local coffee. Choco Café Don Juan is a small, cozy place with indoor and outdoor seating. It serves chocolates, pastries, sandwiches, homemade desserts and freshly roasted coffee. In fact, the coffee comes from the owner’s plantation. Is also serves vegetarian, vegan and gluten-free options and is open for breakfast, brunch, lunch and dinner. Before leaving, spend some time browsing its small store. It offers souvenirs such as handcrafted items and colorful creations. This restaurant in the old part of Monteverde serves Argentinean food featuring fresh, organic, locally sourced ingredients. Café Caburé also offers cafeteria-style options and, of course, local coffee. The food is tasty and the price is just right for what you get. From the balcony, you get views of the surrounding cloud forest and Pacific mountain slope. As you can imagine, the balcony also provides golden opportunities for romantic sunset dinners. If you have some extra time, take the tour where you'll learn all about chocolate. You can even sample handmade truffles and other varieties of chocolate. This tiny local eatery is the perfect place if you are looking for a traditional Costa Rican food experience. 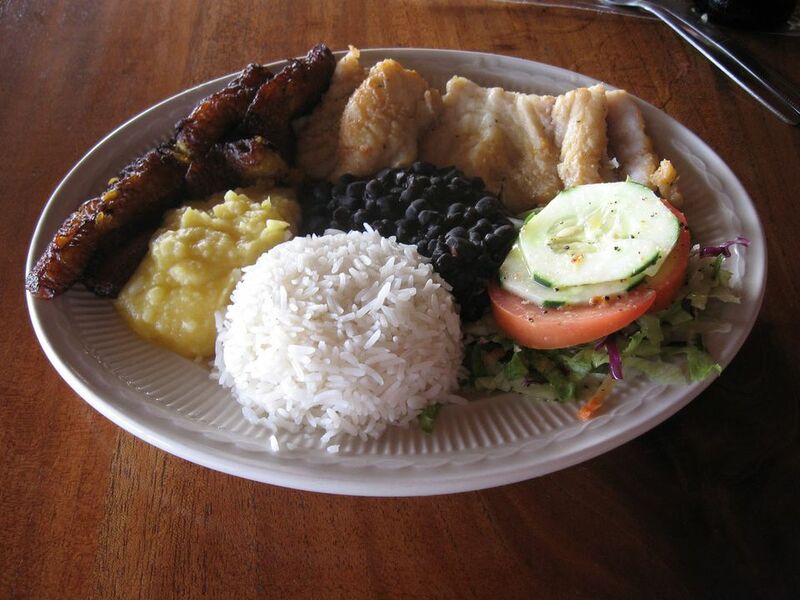 Try the casado, sea bass, fajitas, avocado dishes, and smoothies. It offers vegetarian and vegan dishes. The service is a bit slow, but the food is worth the wait and the prices are a bit lower than most restaurants in Monteverde. The owners are dedicated to good customer service and are always making sure that everyone is happy. Soda La Salvadita is great if you're traveling with children. It also offers Wi-Fi and a view.